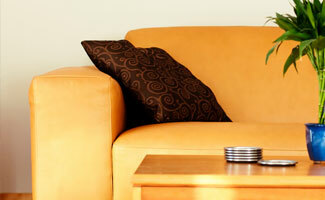 Chem-Dry leads the industry in leather upholstery cleaning. There is not too much more elegant than quality leather upholstery. Their classic look and outstanding design can make leather furniture very desirable. The reality is that as with all things new, this look does not last and will require cleaning maintenance. We do not always notice the beige colour that slowly changes to a dull grey. Leather almost becomes soiled without anybody notices. Cleaning leather properly is really a job for the Chem-Dry Leather Upholstery Cleaning professionals. Daily dusting is will help and it is not a bad idea to give your furniture the occasional wipe down. For more tips just click on this link. It is however, true to say that you will only realise the extent of the leather soiling once .we have completed the cleaning. Chem-Dry Leather Upholstery Cleaning is some of the most satisfying restoration work that we undertake. Once we have cleaned the leather, the technicians then apply a conditioning agent which will protect the leather against future soiling. As with all our upholstery cleaning, the leather lounges are first inspected and a patch may be test cleaned to determine the best course of action. All leather cleaning is done with a gentle hand cleaning process using the finest Chem-Dry cleaning solutions. These products are exhaustively tested in the USA to ensure that they are effective and safe cleaners. Our Sydney customer deserve only the best cleaning that money can buy. If you are not 100% happy with our Chem-Dry Leather Upholstery Cleaning results, our technicians will return free of charge and clean the upholstery a second time. There is also no further charge involved in us returning. Our commitment to giving Sydney customers the best quality service is unflinching. We want you to give us a chance to prove our skills. Please provide as much information as possible when completing our Quotation Request Form. It will allow us to provide you with more accurate price information.